Know the city of Buenos Aires, its parks and its history in a unique way: biking!!! Bikes, helmets, kids’ chairs, rain clothes, medical assistance and mineral water are included. Baptism dives Tandem style, skydiving courses a few minutes from Buenos Aires Center. Exciting free fall from more than 4000 metros high. Transportation + photos + video are included. The best matches, the best football teams. River, Boca, Independiente, San Lorenzo. An unforgettable experience flying over the Argentina Pampas region with a Paraglide. Transportation + guide + snack included. In a lovely place with an excellent service, you can taste the most delicious dishes, with special attention to our baby beef, served with the most precious wine. In the great tango orchestra style, from the 40’s, a band formed by great maestros invites you to take a tour along the best of the Buenos Aires music. You can learn how to play one oh the most important Argentinean sports. Back and forth Transportation, professional teachers, visit through the stables, watch a game with specially trained horses, with all the necessary equipment, are all included. Come enjoy the beautiful installation that the YMCA together with the V&S Hostel offers you; swimming pool, solarium, big gym with specialized teachers in all the areas. Come enjoy the diving that Argentina together with the V&S Hostel offers you, with professional teachers in the area. 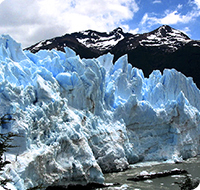 We have everything organized so you can have an amazing time in Buenos Aires, and know Argentina.